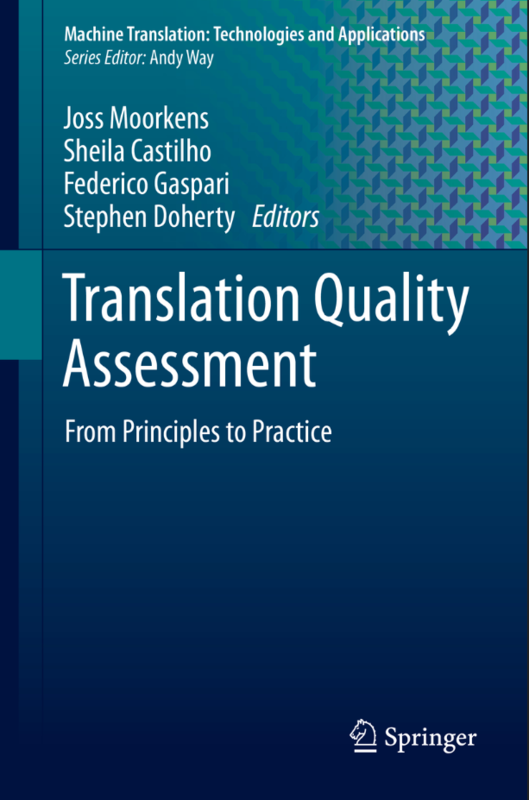 Current and adjunct members of the CTTS published a new book on Translation Quality Assessment on July 16th 2018. The book, edited by Drs Joss Moorkens, Sheila Castilho, Federico Gaspari, and Stephen Doherty and published by Springer, brings together research and practice from academic and industry settings and a combination of human and machine translation evaluation. Contributors include Sharon O’Brien, Andy Way, Jo Drugan, Maja Popović, Arle Lommel, Miguel Jiménez-Crespo, Lucia Specia, and Antonio Toral.